This is a great book I used the world book day token to get this £5.99 WOW amazing price from an amazing place !!! 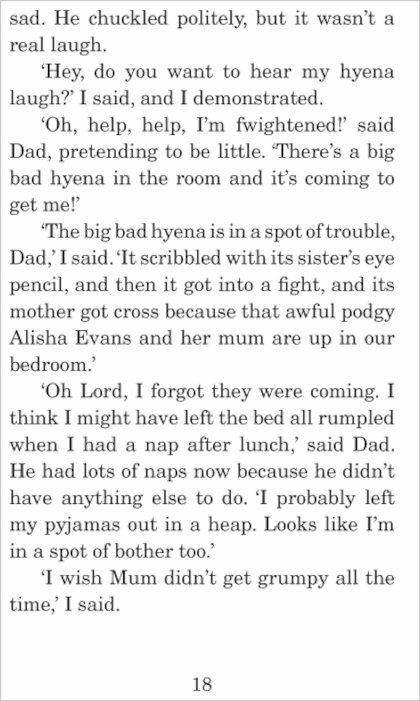 This book had me in stitches! It reminded me of how my sister and i used to be! Although, i was the girly one! I felt for Marty and especially when her comic was ripped up, and yes, i admit, she took Melissa’s eye pencil BUT it was mean of her to rip up her lovely comic. Read this book! 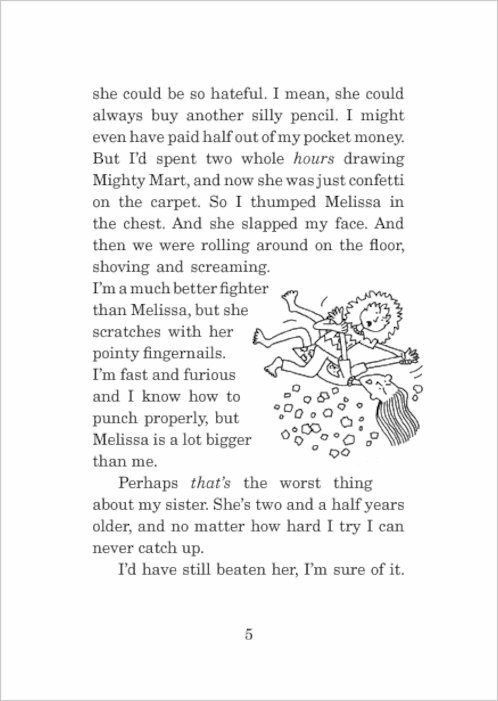 I like this book because its all about how hard it is to have an older sibling. Anyone who has a sister will relate. tow sisters called Melissa and Marty dont get along very well! Great book by a great author. Good book to read. This is about two sisters Melissa and Marty who don’t get along very well. Thankyou for reading have a nice day. this book shows only childs that it is good not to to have a sister or brother . and it shows what can happen if you keep a secret. I loved it because it is funny. 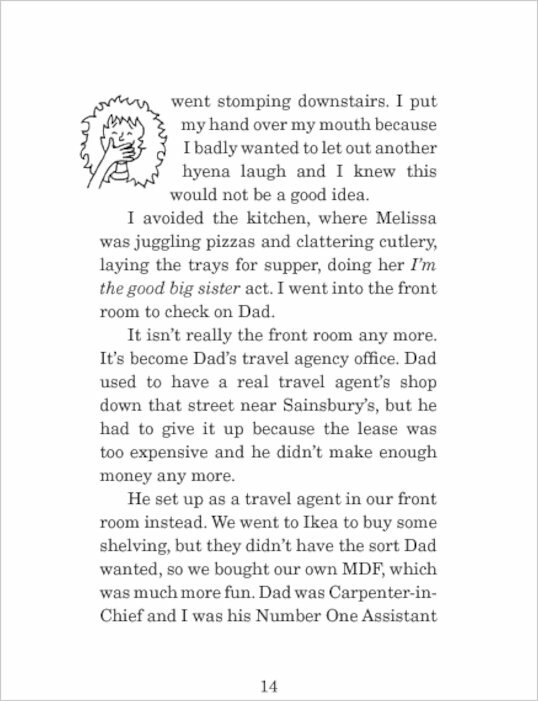 This book was really funny and quite realistic i really enjoyed reading this though I do think the title’s mean. 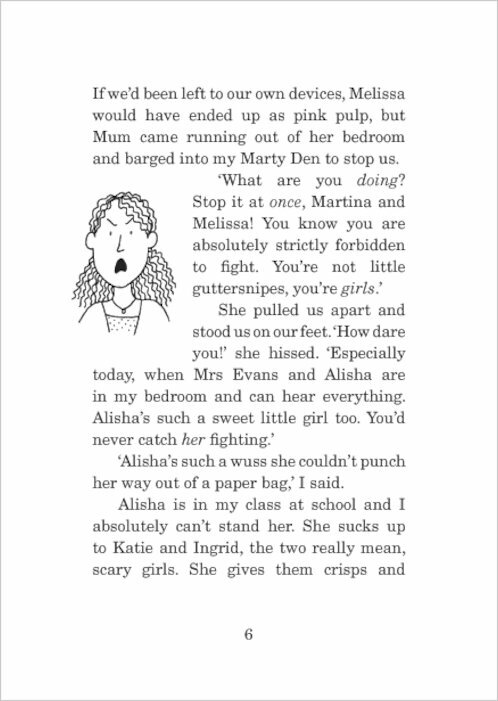 This book is about two sisters, Melissa and Martina (Marty), this story is from Marty’s point of view which is good because you get to see it from tomboy Marty’s eyes. I really enjoyed reading this and I think it’s true to life. I think if two different sisters were made to share a room it would be like how Jacqueline wrote it. I loved this book its one of my favourite’s! Marty and Mellissa always fight non stop. Then they had to share a room. Next thing you know they have lots more arguments which results in Mellissa having to go hospital. This book teaches a good lesson about being kind to your brothers and sisters. 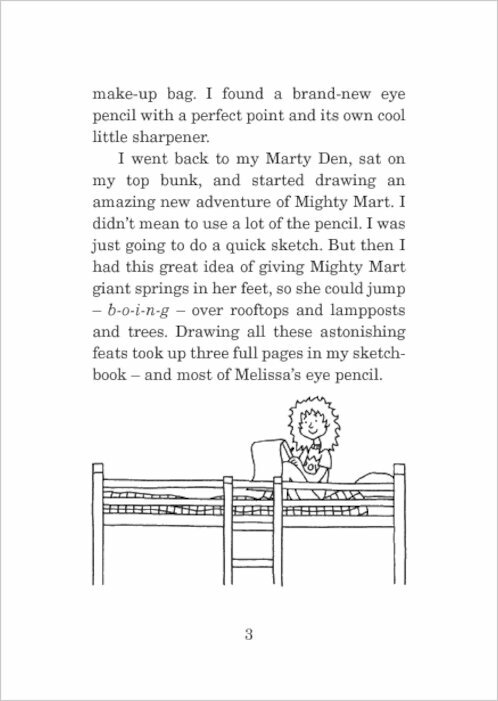 Marty has to give up her room and share with her sister and this turns out to be not half as bad as Marty imagines. I loved reading this book. A book about 2 sisters who are completely different. Marty, the tomboyish younger sister and Melissa the girly older one. A really great book by Jacky Wilson! This is about two sisters who are different in so many ways. Quite a good book but not one of the best. I love this book! In my opinion its very different to all the other books that jacqueline wilson has wrote. 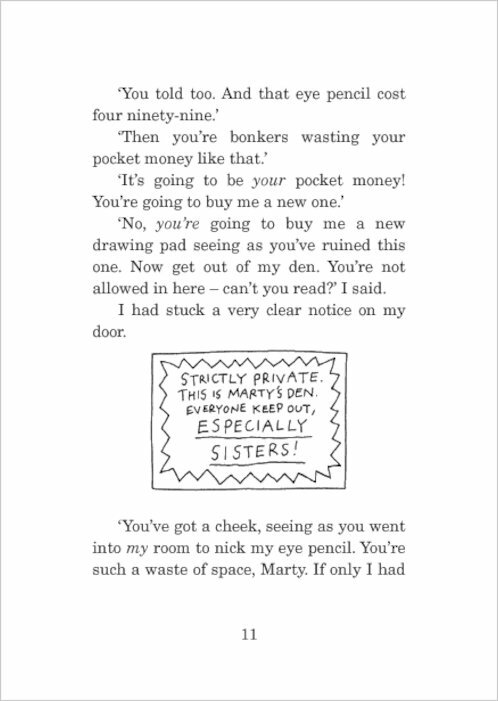 Its funny and heart warming and i love how its written from Marty’s point of view and how she see’s her sister Melissa is reacting. I would definitely hate to be in their household though! 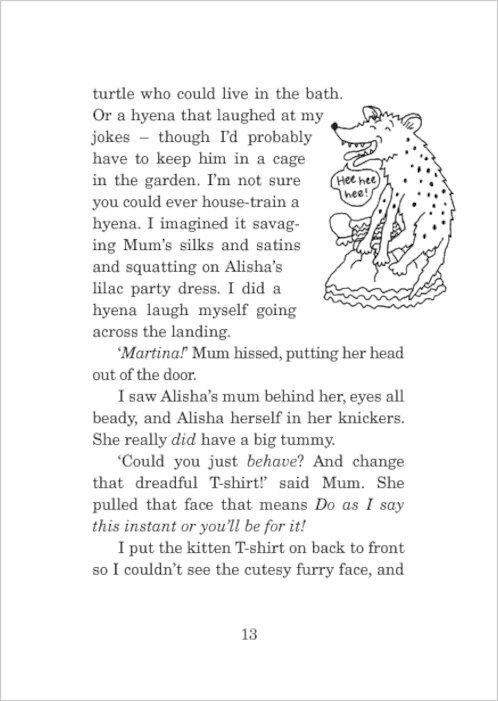 I think this book is hilarious. Marty is very funny and Melissa is such a girl it is hard to belive they are sisters! 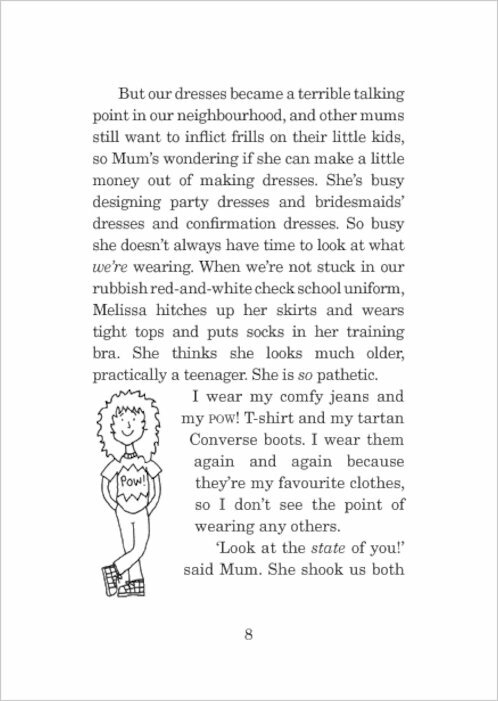 I Am reading this and I Love It My sister is the same! I Love this Book And Hope to finished it to see what happens next!!! I think is book is really good because its a bit like me and my little sister! I really really enjoyed it! Marty is so funny! I think this book is amazing! It is very realistic because the topic relates to a lot of people. 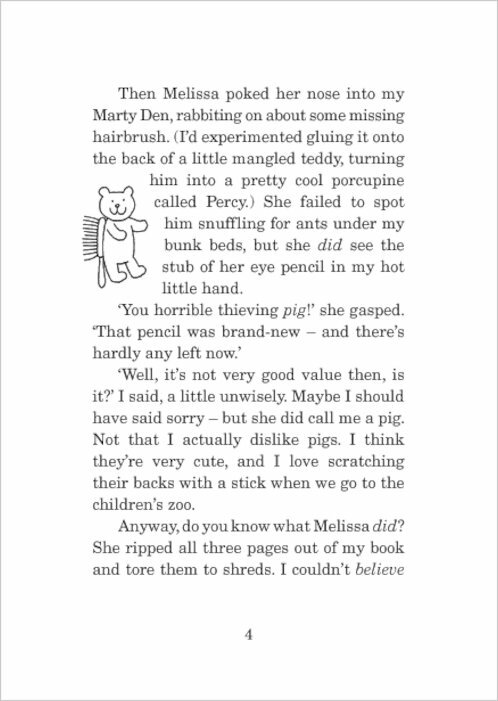 The story line is creative, making it funny and a pleasure to read. I loved it but I nearly cried when Mellisa had to go to HOSPITAL. I loved this book. It was very interesting and kept me hooked from the very beginning. Icould not put the book down! Loved It!! Best book ever!!! Worth reading!!!!! !!!OMG!!! What the ???? This book was amazing !! I loved it, it was great. I really enjoyed it, it was fun, exciting and interesting. It had a very reliable moral. It is the BEST book ever. this is a really really gud book!!! If I was in it, it would be called the wourst thing about my brother. Really Good! 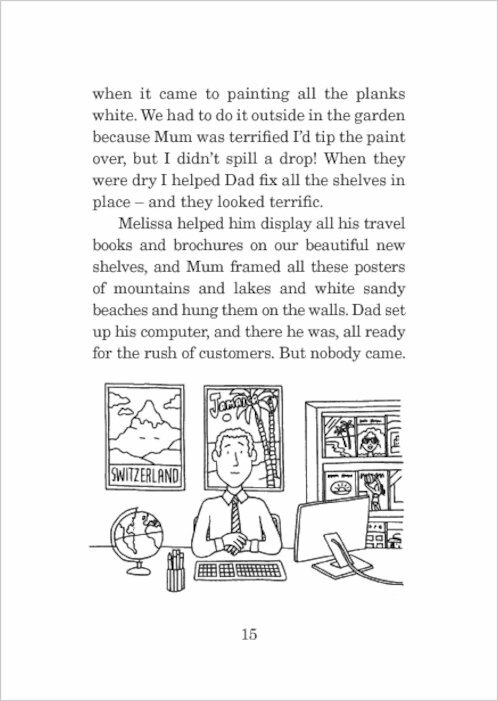 This book is very short and written for younger children. 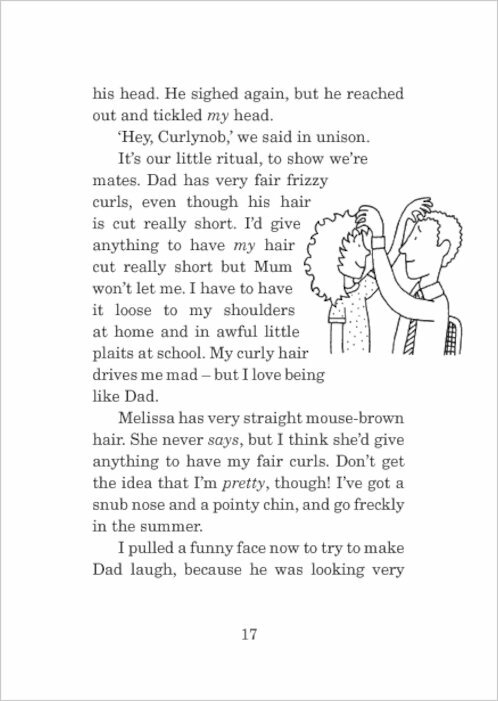 It has very big print and a quarter of the book is excerpts of other jacqueline wilson books! 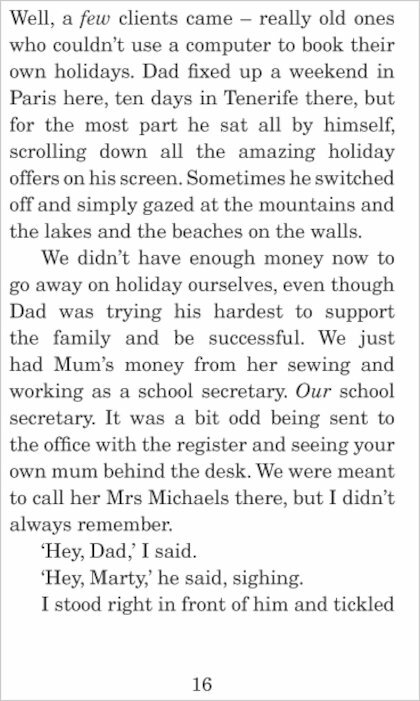 This is a great book that most children can relate to. It follows the continuous feud of Melissa and Marty, two sisters, but when their fighting goes wrong, will it bring them closer or tear them apart? You’ll have to read the book to find out! 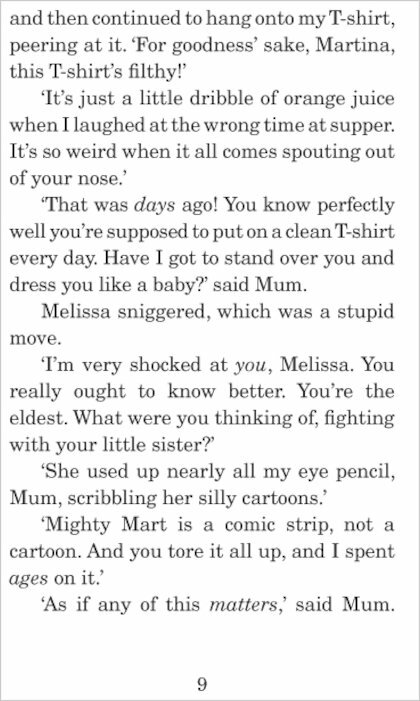 I have read this book loads of times and I can relate to this because I have a sister exactly like Melissa. It is very intresting and funny when Marty has to wear a dress, it’s hilarous. Jacquline Wilson is the best authour on earth I dont like any other books than Jacquline Wilson they are just superb.Your the best Jacquline Wilson. 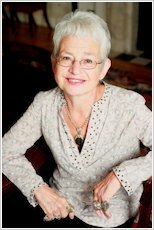 I am one of Jacqueline Wilson’s biggest fans. I have read all her books, and loved every single one. 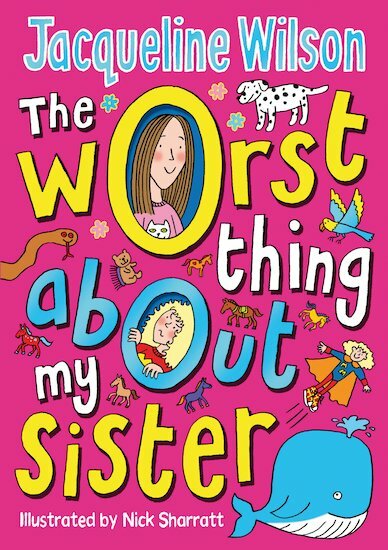 The Worst Thing About My Sister had a powerful message behind it, portrayed in an interesting way, perfect for younger readers. I wouldn’t recommend this book for my age, but defiantly for younger. this is jacqueline wilsons new book which i have read and i think is great but it gets sad at the end but then every thing gets sorted out. it is a must read book! Excellent Enjoyed it SOOO Much!! 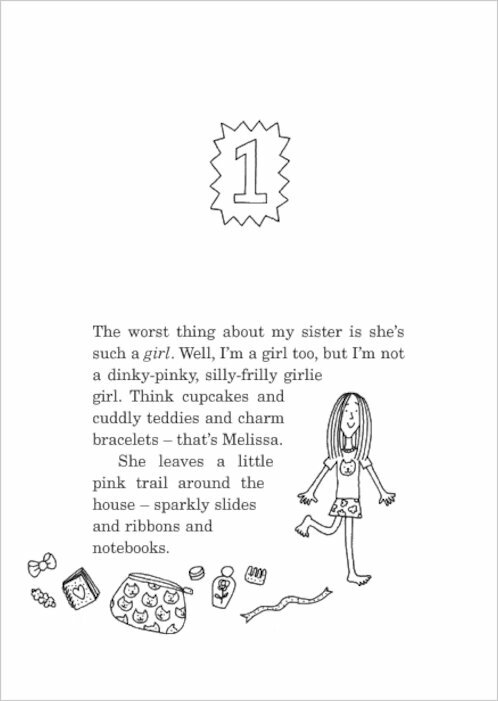 The worst thing about my sister was so fun to read! Shhhh dont tell my mum but I read the hole book in one night it took me about 6 hours! I am not a girly girl but i so want to read this! i loved it! i am kinda like both of them coz i love my make-up and tight tops and skirts but i hate wearing dresses sometimes! especially frilly girlly-girl dresses!